Horse riding is a therapy, it is same feeling like an artist sitting in front of his canvas. It helps reduce stress, lowers blood pressure and boost up energy. 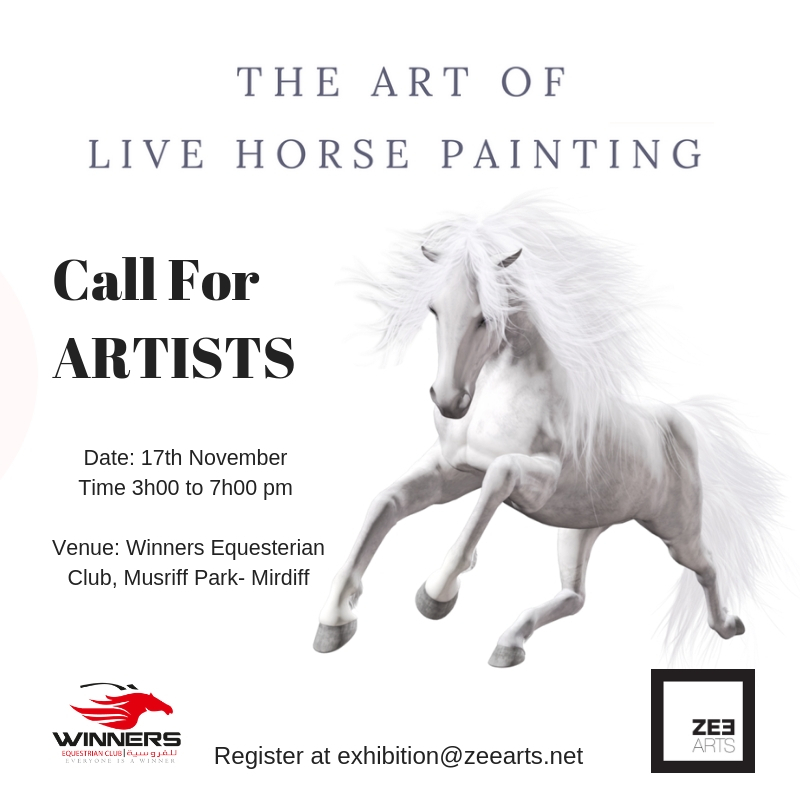 Artists… an opportunity for you to join us, paint live the horse emotion and enjoy a ride on Saturday 17th November from 3h00 to 7h00 at Winners Equestrian Club, in Musriff Park.